A great way to start the weekend is by wearing something comfortable. 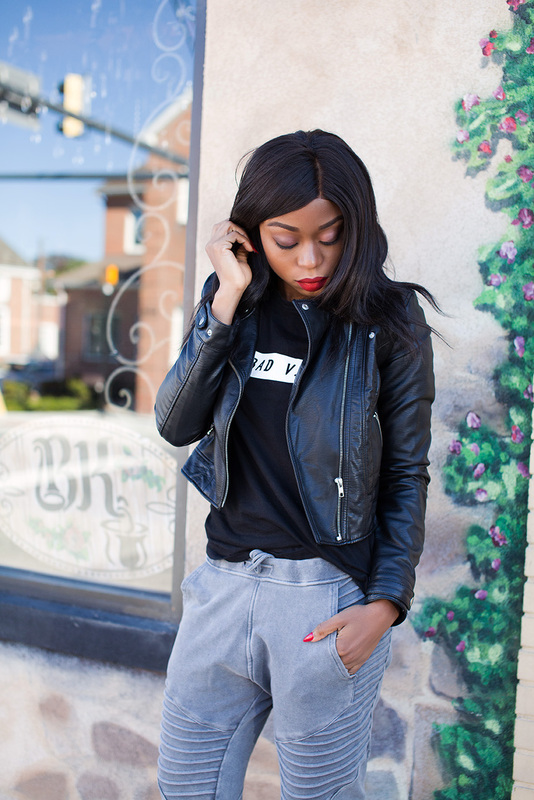 Comfort is always a major key for me when it comes to weekend styles. 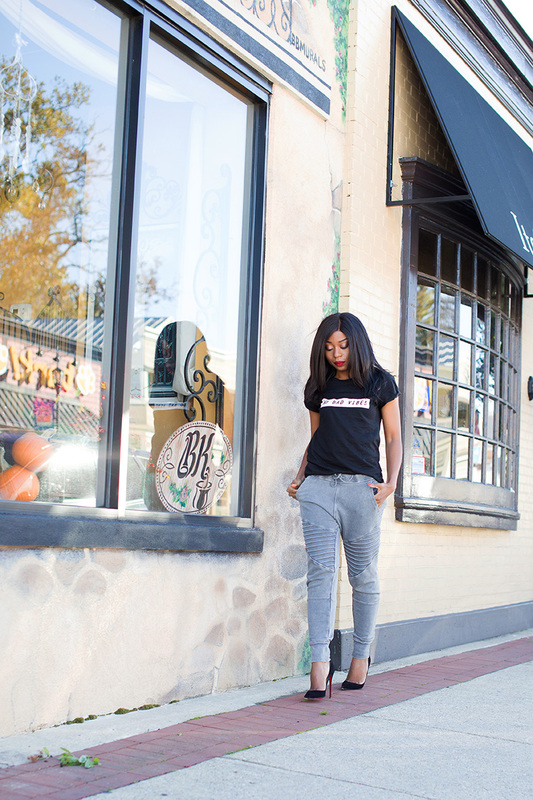 I have shared different weekend styles in jeans, tees and in flats or heels (as seen here and here). 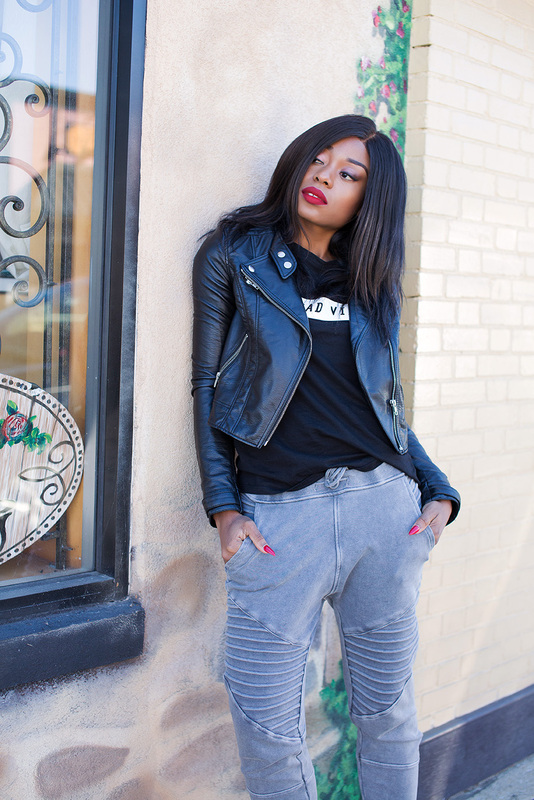 Today's look is different from my casual denim style as wearing sweatpants on cold fall days is very comforting. 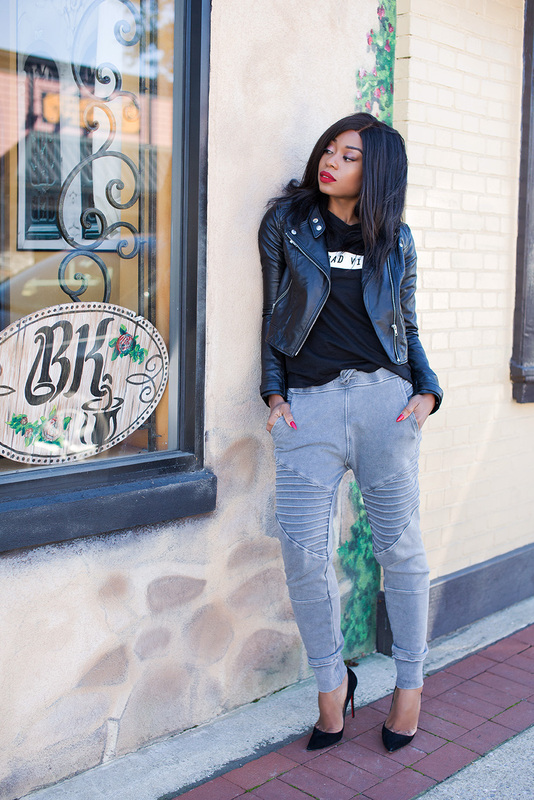 Pairing sweatpants makes for a great mix of comfort and chic. 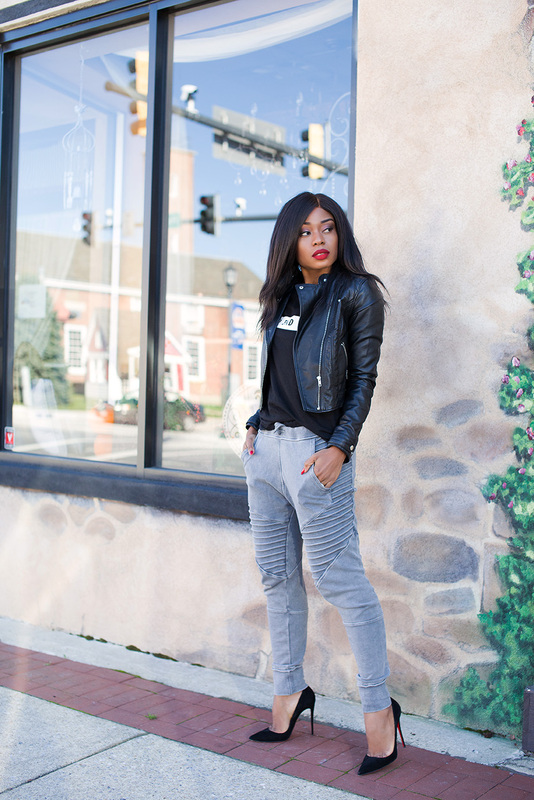 All you need is a pair of high-heeled pumps, a bold lipstick and a leather jacket to change a simple look to a cool one. 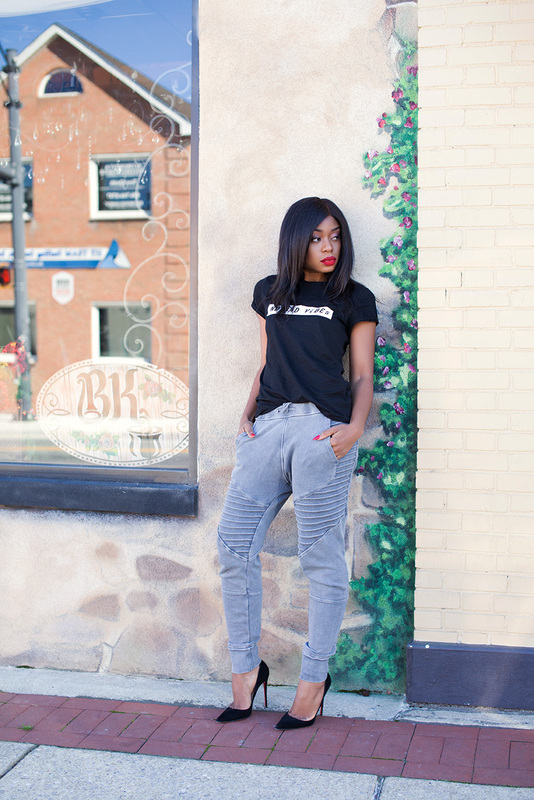 Love how you paired heels with joggers. 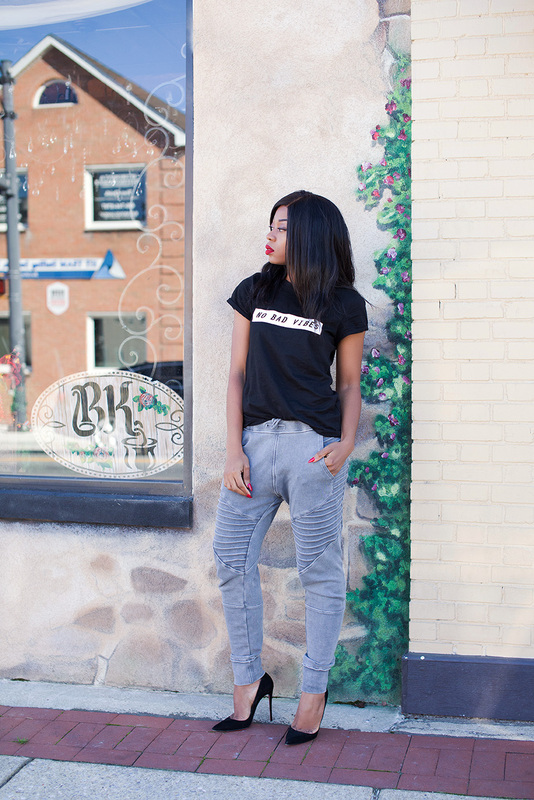 Love the pants, they look super comfy! Absolutely love this look. It's street, yet classy. You look great! Love it!